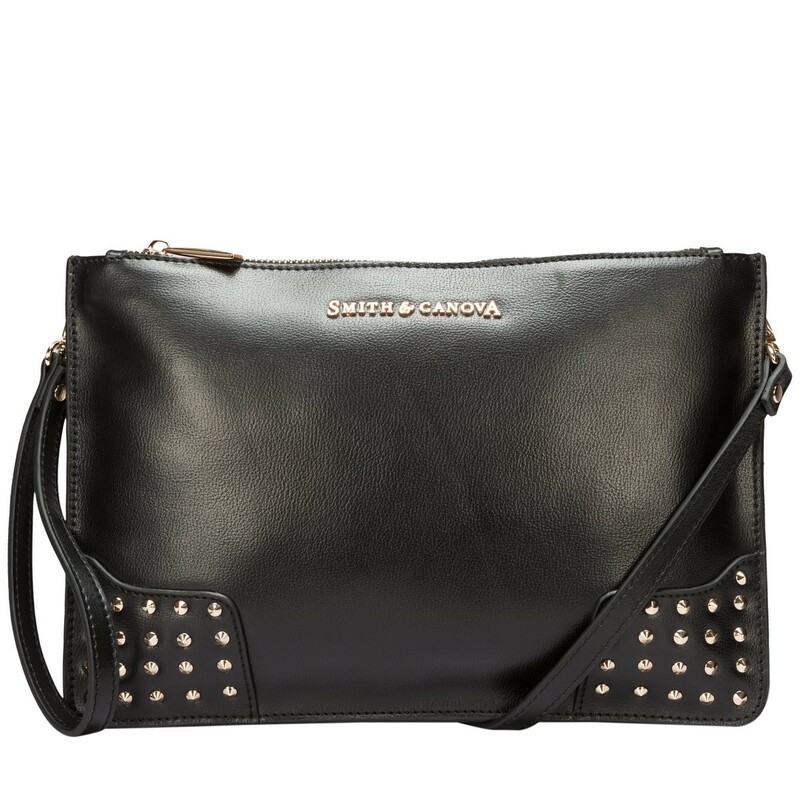 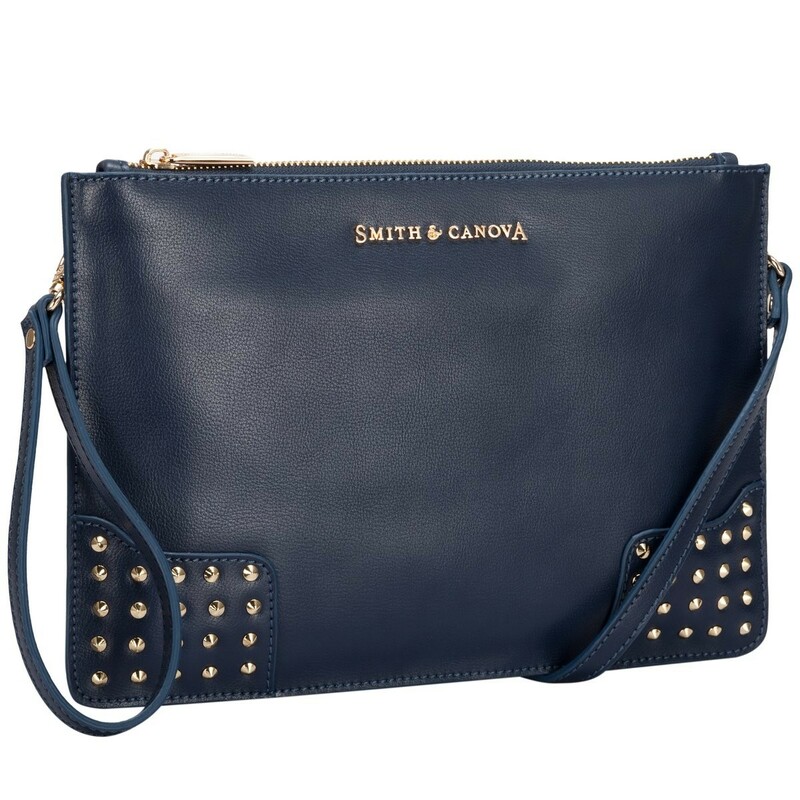 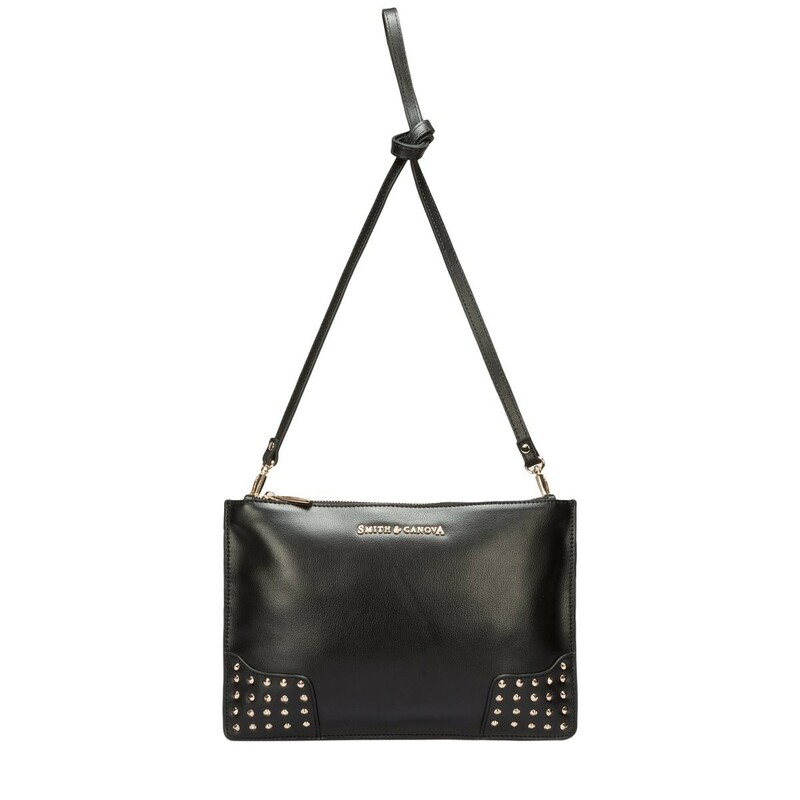 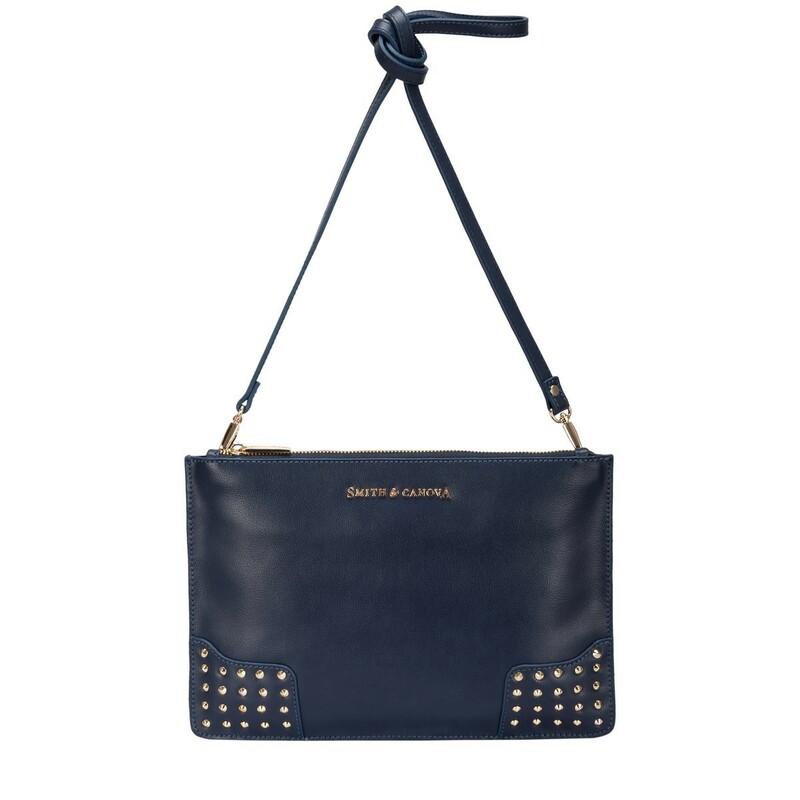 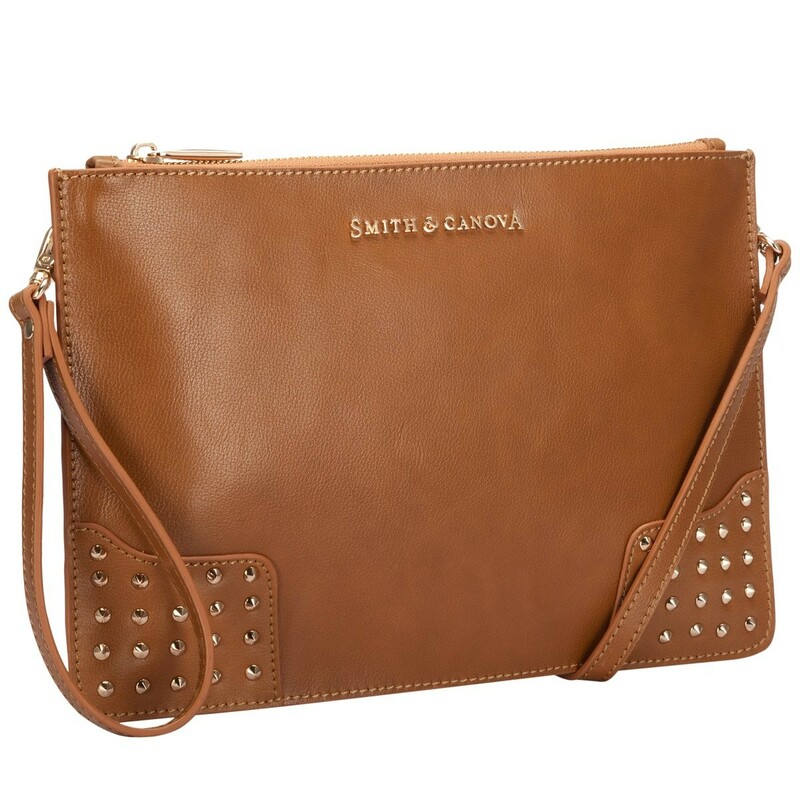 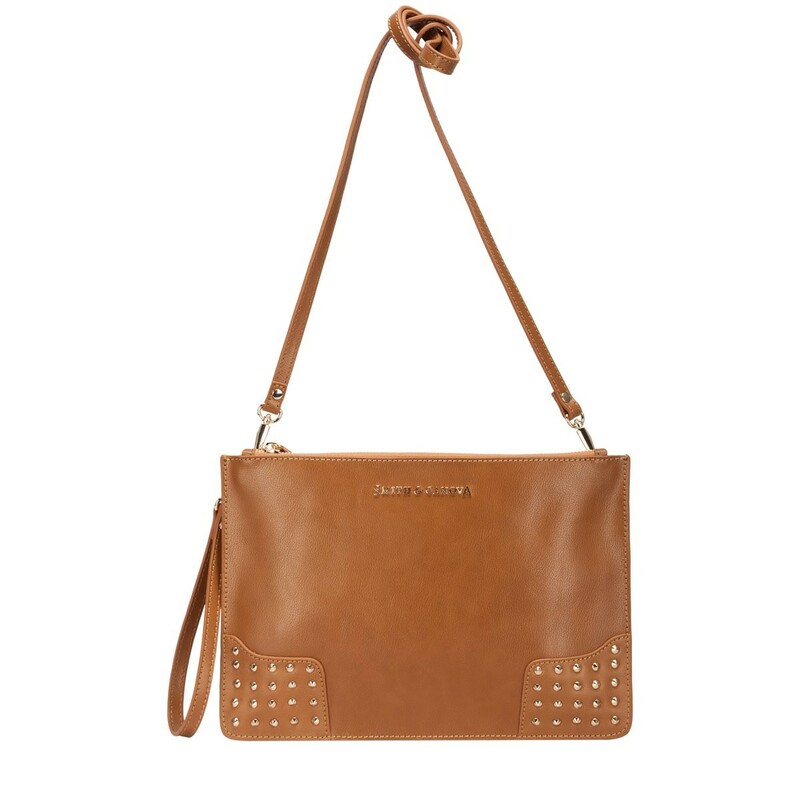 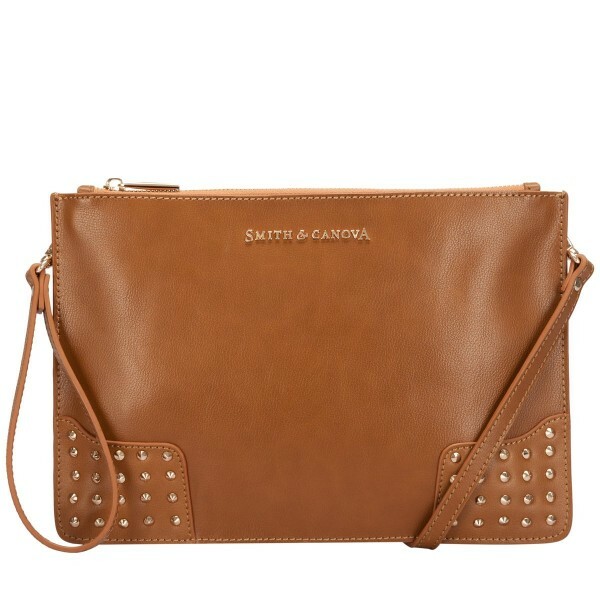 For versatile style, this corner studded clutch is the perfect accessory. 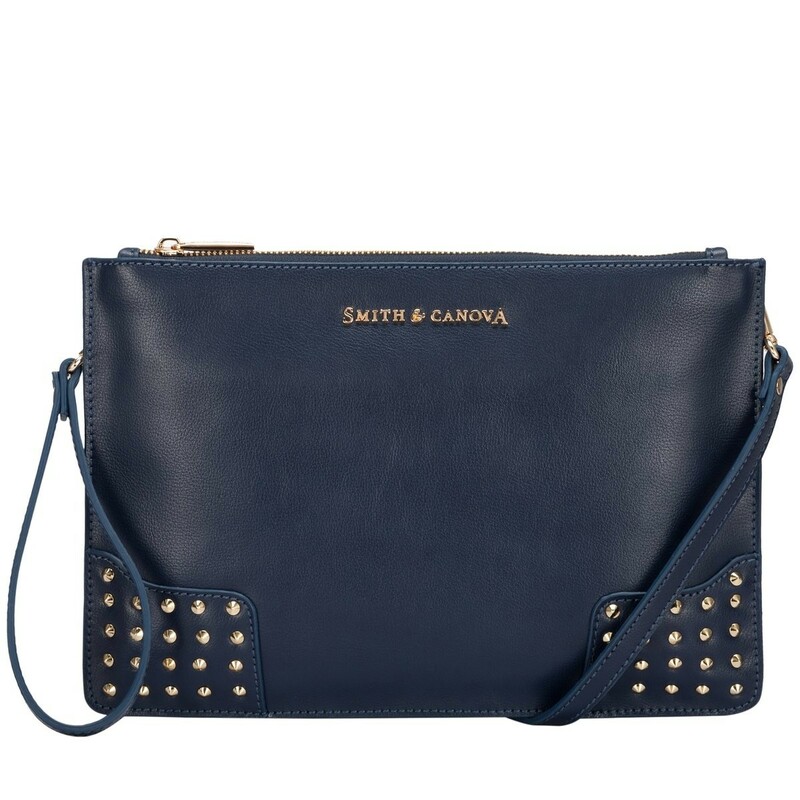 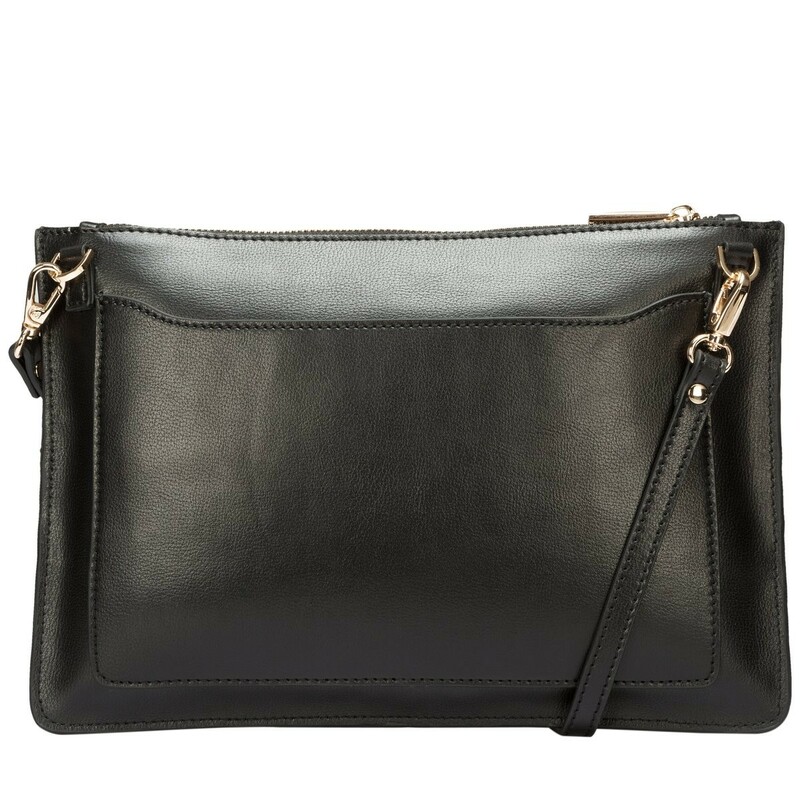 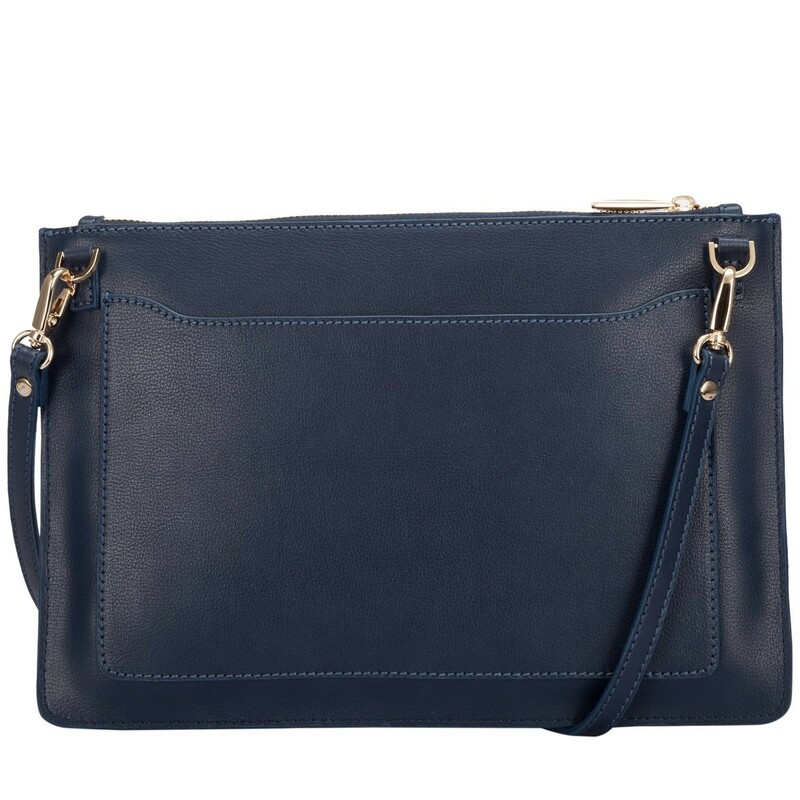 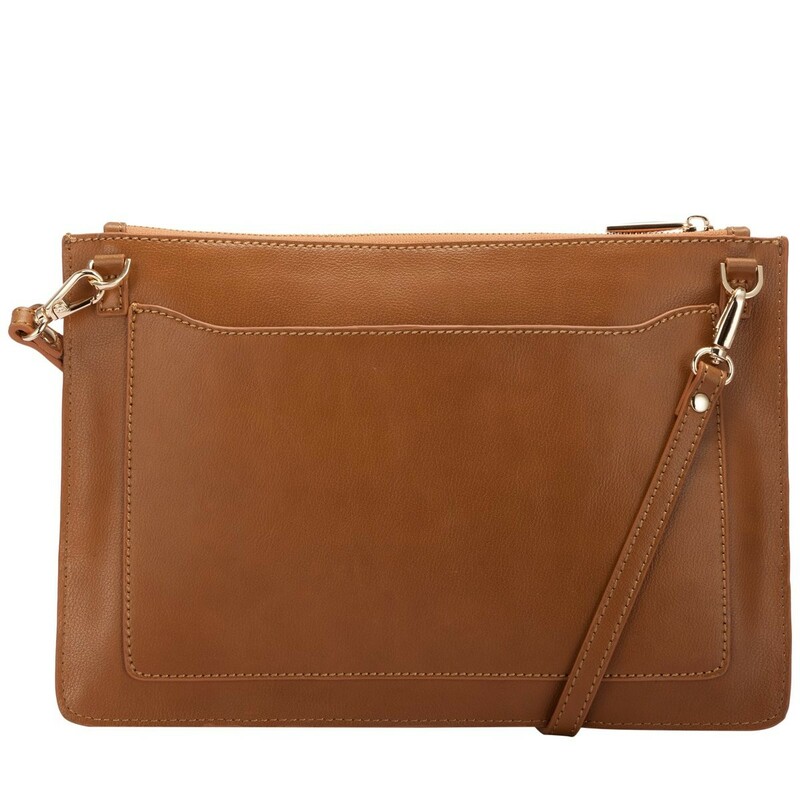 You have a choice of styling with the detachable wrist and shoulder strap, or you can carry under your arm as a clutch! 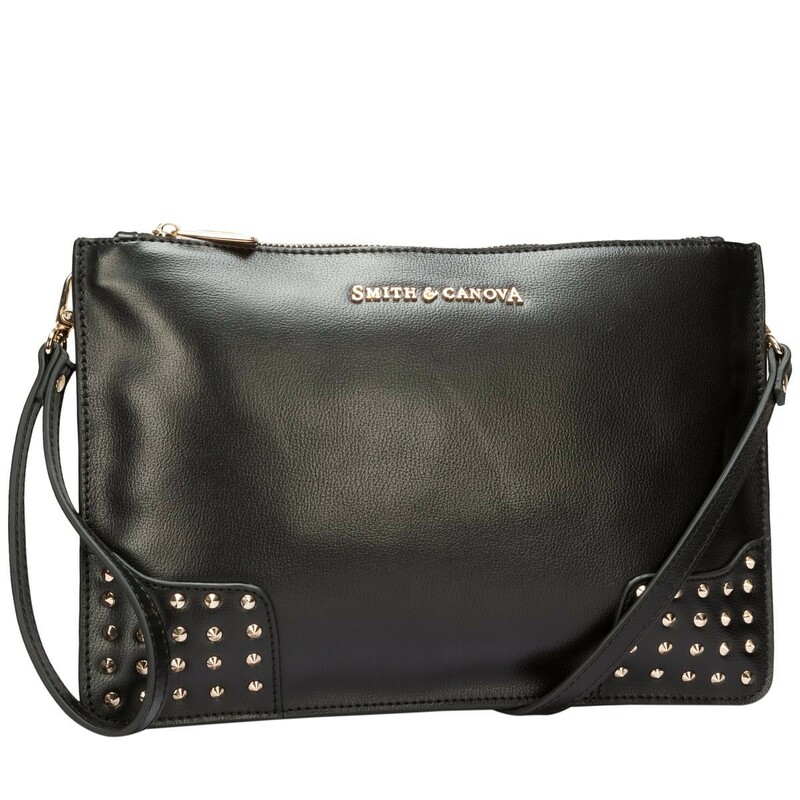 The studded detail add an element of glam whilst the smooth textured leather makes it a sophisticated look. 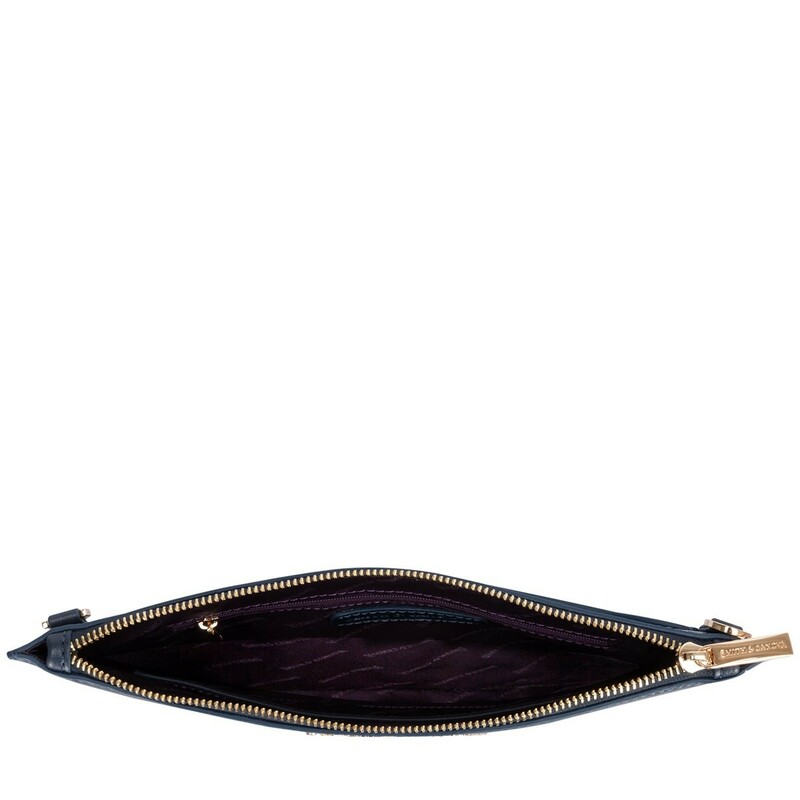 With plenty of zip and slip pockets, your valuables will be kept safe and organised no matter what the occasion.